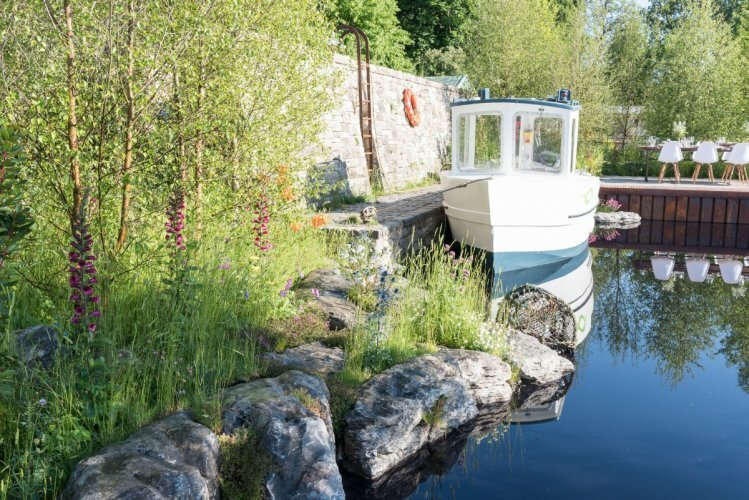 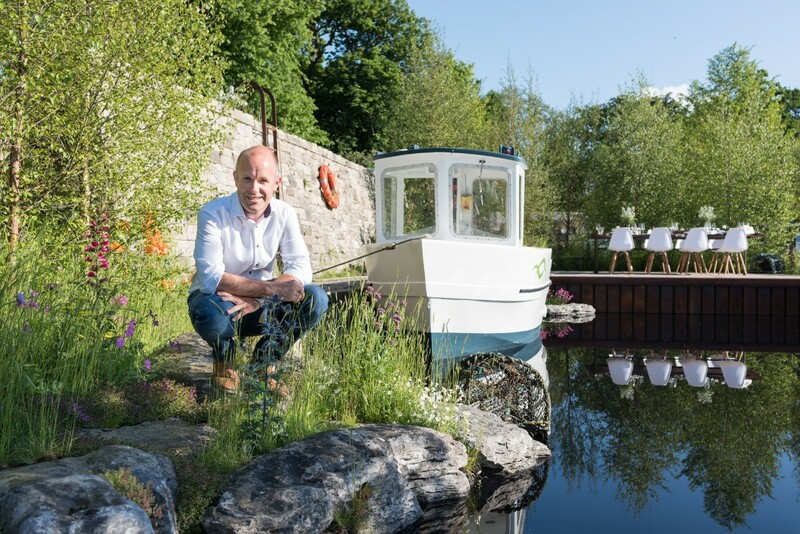 With over 20 years experience designing luxurious gardens, Andrew Christopher Dunne, a leading Irish garden designer picked up another well deserved Gold Medal and 'Best in Category' accolade at Bloom 2018. 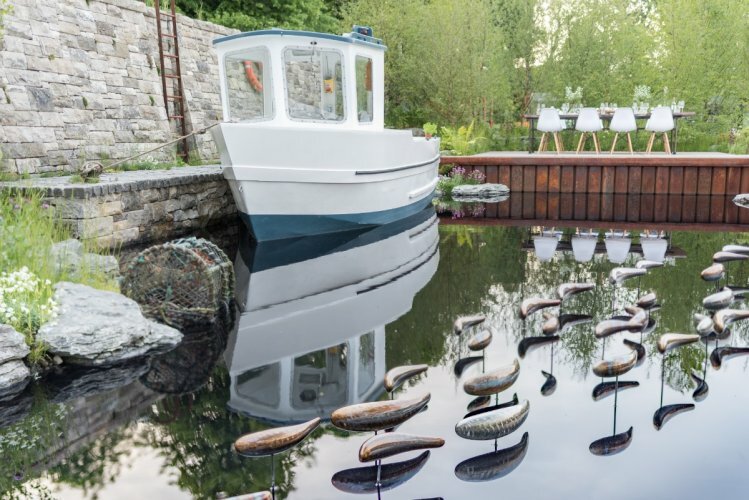 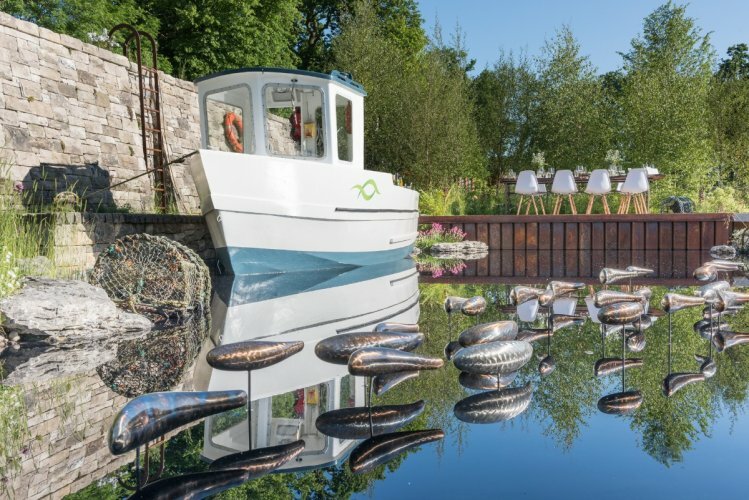 Inspired by his own community in Clogherhead, a small fishing village on the east coast of Co.Louth, Andrew created 'The Sustainable Seafood Garden' which tells the story of Irish seafood, from tide to table. 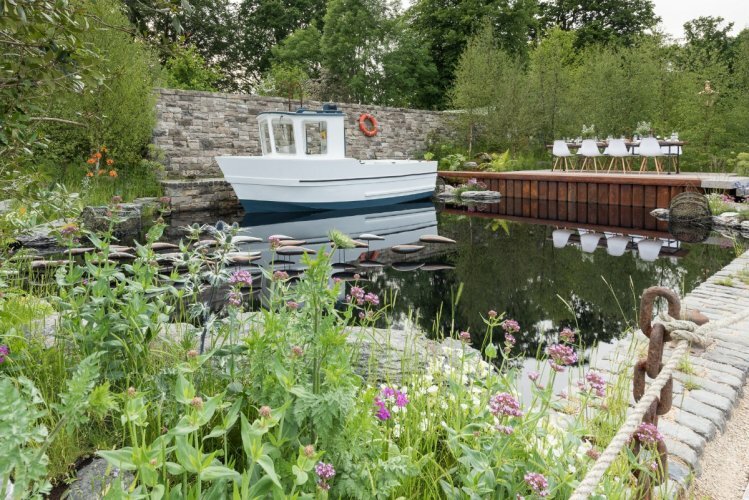 Supported by Bord Iascaigh Mhara, the garden illustrates how the fishing industry has been modernised over the years to support improved ecological and sustainable practises which in turn has protected livelihoods and preserved the marine environment in coastal communities throughout Ireland. 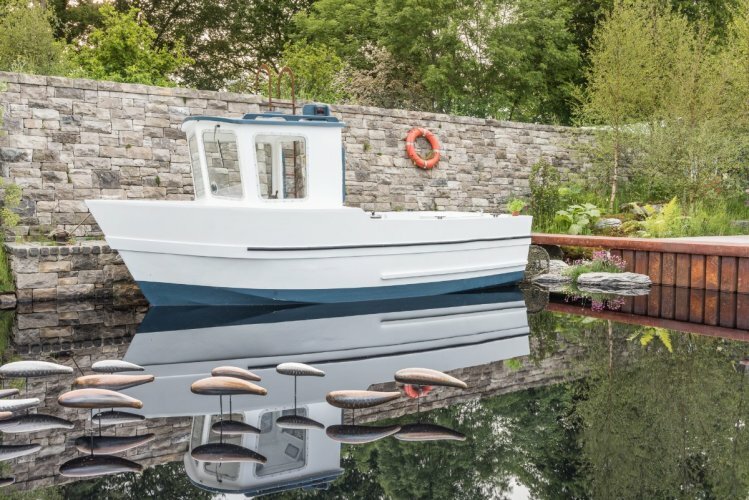 With sustainability at the forefront, the design features native flowers, ferns and grasses that are rich in flora, mirroring the beauty of our rugged Irish coastlines. The inclusion of two piers, one completed using traditional reclaimed materials and the other with modern polished concrete represents the industry's transition from old to new techniques. 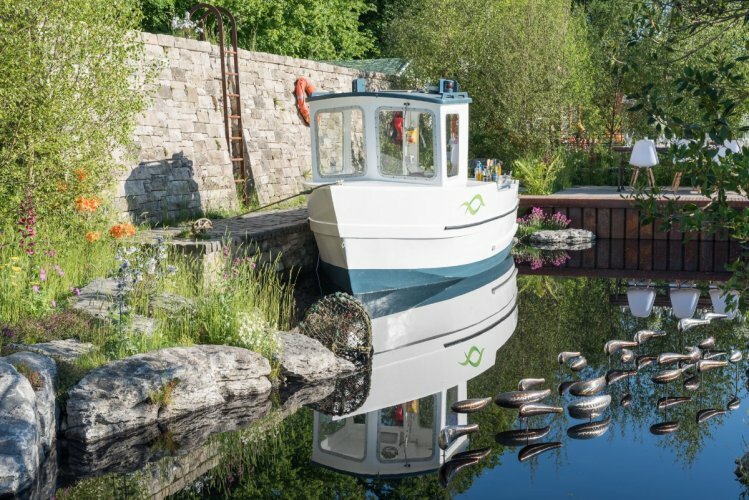 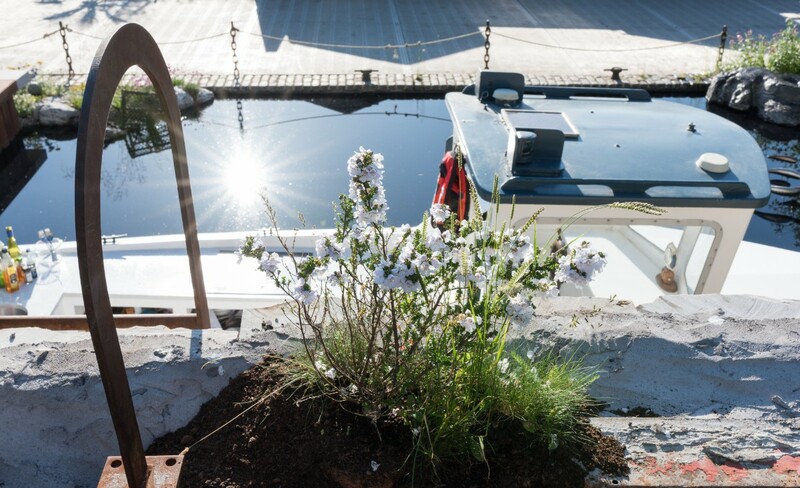 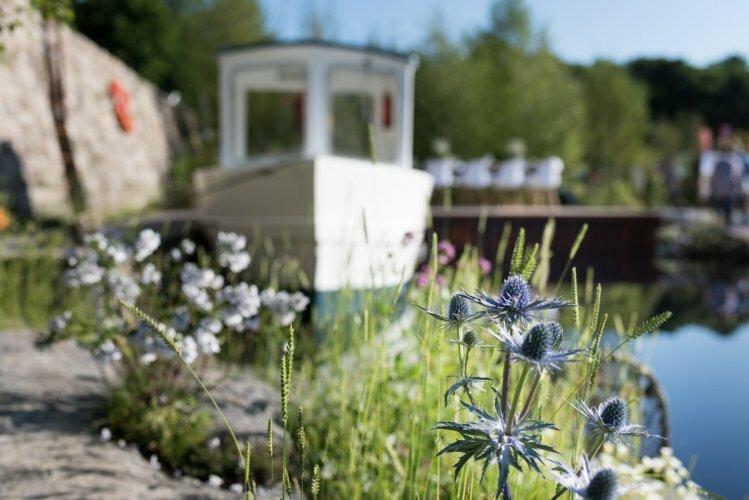 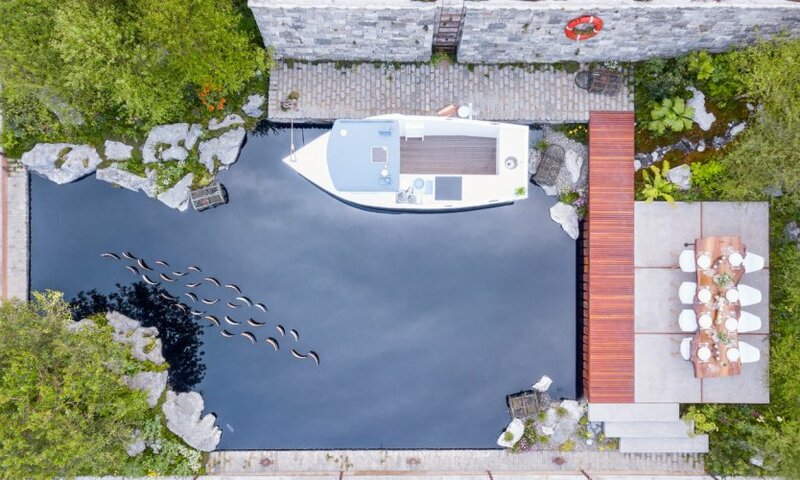 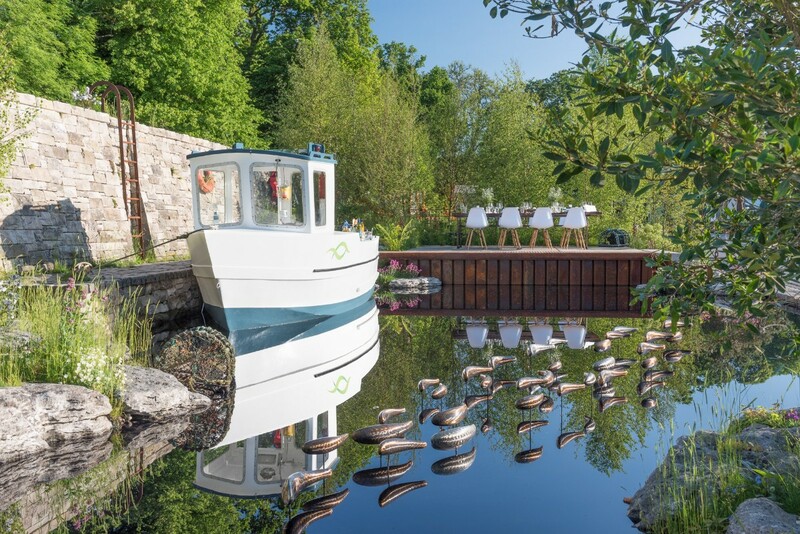 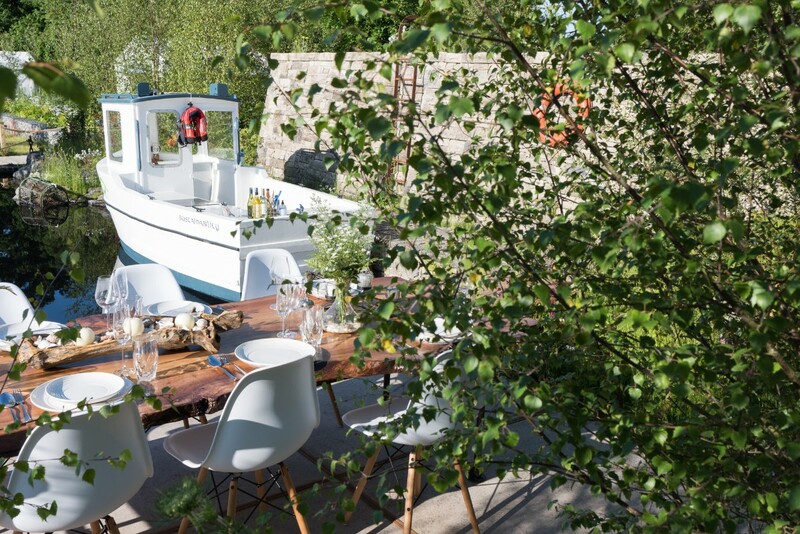 The recycled fishing boat was converted to a small kitchen to enable professional chefs from all over Ireland to give demonstations featuring sustainably sourced seafood. 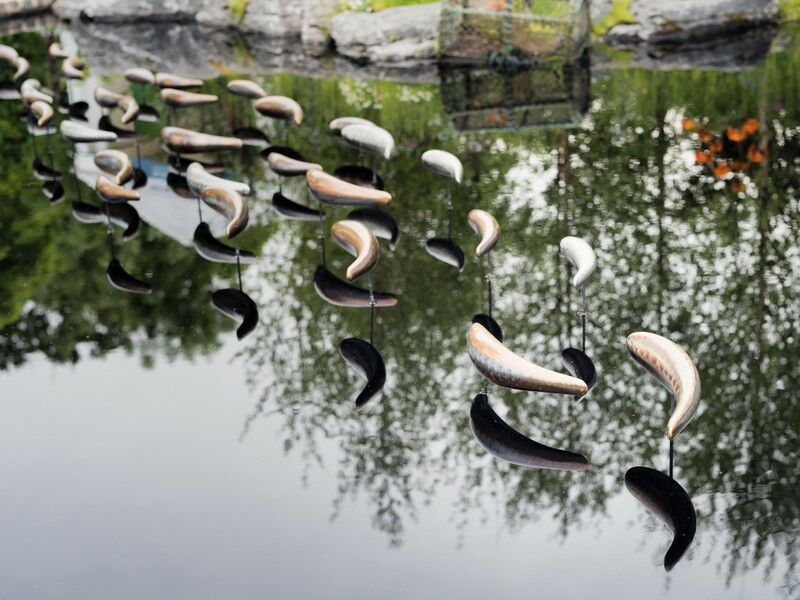 The stainless-steel fish represented organic farmed salmon, just one of the seafoods that is sustainably produced off Irish coasts and one of the fastest growing sources of extra food on our planet. 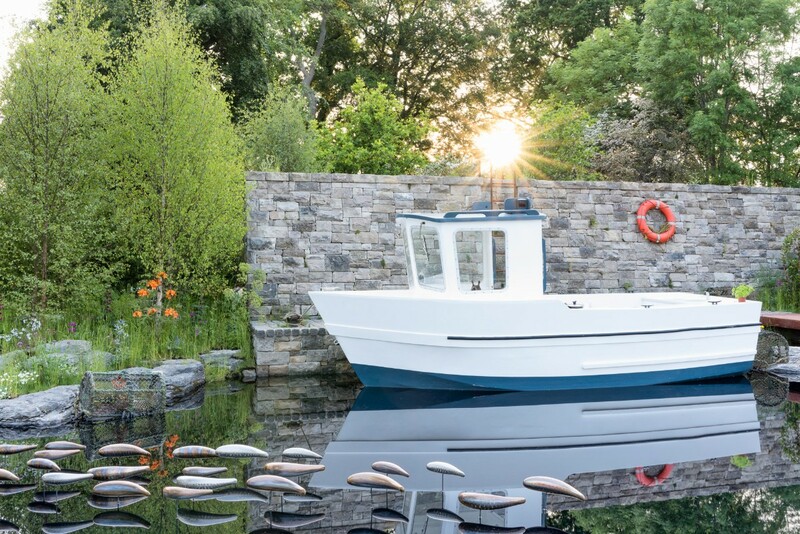 McMonagle Stone was delighted to supply the Karst limestone rock formations that were also draped in a floral meadow typical of the west of Ireland coastline. 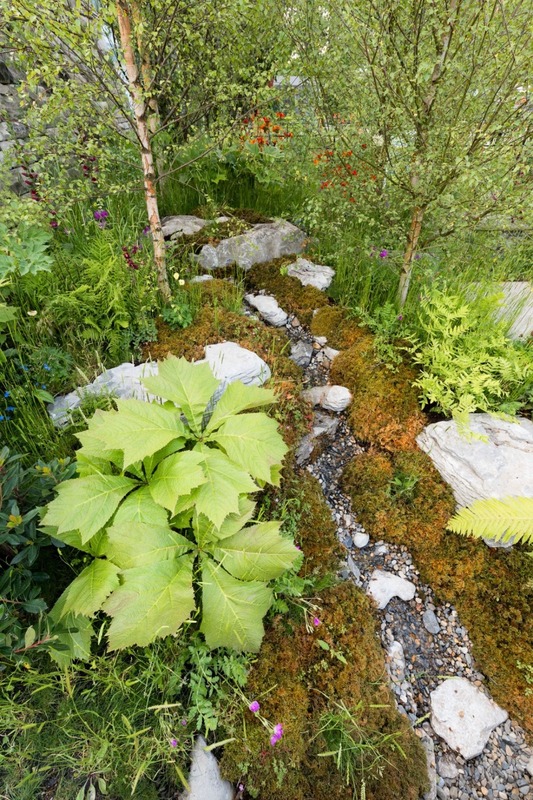 "Any garden design is only and idea until you can assemble the right team around you to bring that design to life. 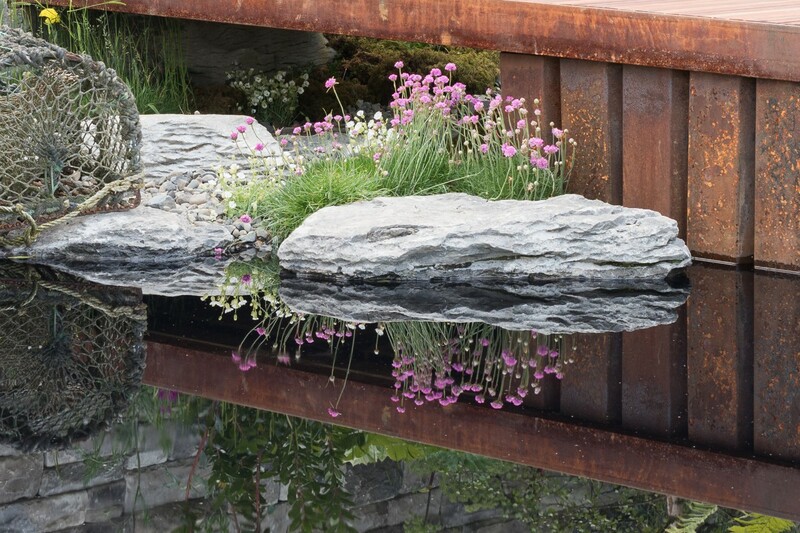 McMonagle stone where an integral part of that team on our Bloom garden. At an early stage of the design they guided me through the process of sourcing only the very best quality Irish stone. 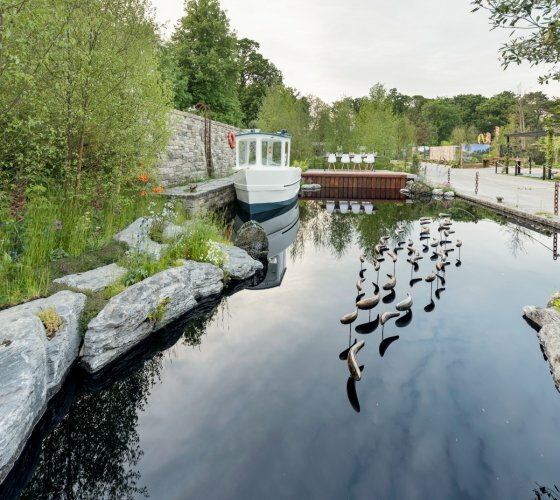 Finding the the perfect stone to satisfy even the most fussy garden designers (like me) is one thing but it is how they facilitated and coordinated all the elements behind the scenes to secure and transport everything to the Phoenix Park without a fuss, was what impressed me most." I have no doubt that our best in show garden would not have reached such heights without the help of McMonagle stone". 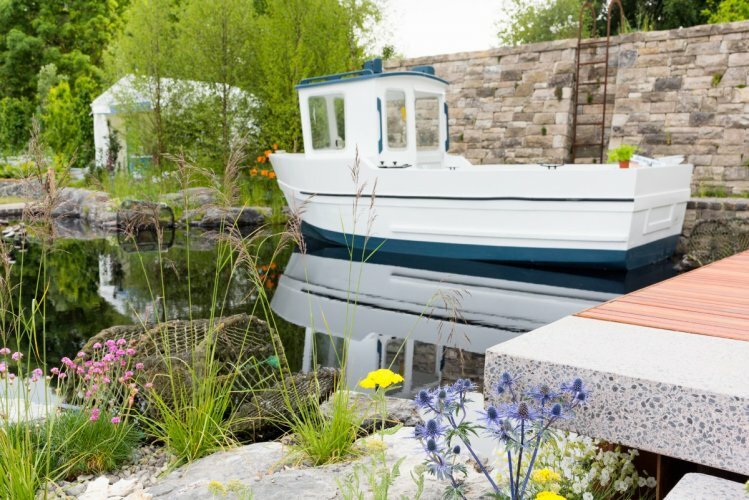 Please contact our team for more information on our weathered limestone or rockery options most suited to meet your landscape needs.